Do you have the skills you'll need to succeed this year, or are you still betting on a COBOL revival? Java, a popular and versatile open-source language, has been around for over 20 years and is now virtually omnipresent. "Java is in everything, from your computer and phone to the Curiosity Rover on Mars," noted Ryan Desmond, co-founder and lead instructor of coding boot camp CodingNomads. "It is used across every industry in both the private and public sectors, from start-ups to enterprises." Interconnectivity and communication between technologies and services is more important than ever, Desmond explained. "The most common way to accomplish this is through RESTful APIs, and the most common language behind RESTful APIs is Java." 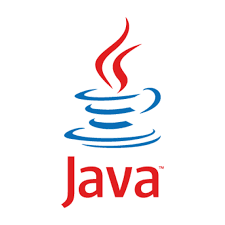 Java's popularity is further bolstered by the fact it drives Android, the world's most widely-used operating system. "For these reasons, Java is not going anywhere, and the demand and salaries for Java engineers continue to rank amongst the highest," he said.